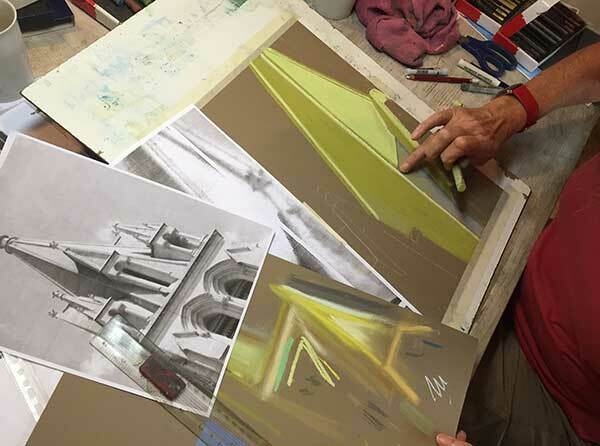 Painting and drawing workshops in the south of France. 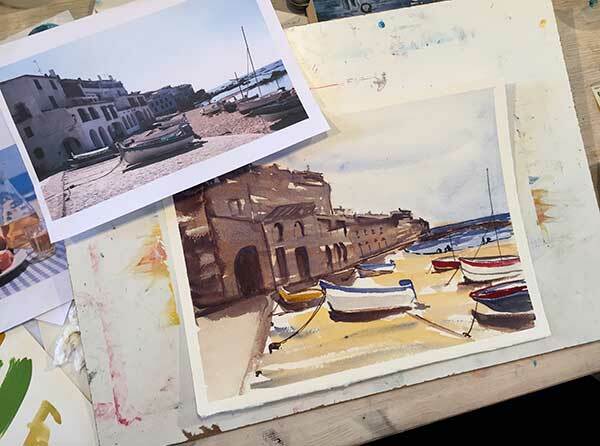 When Simon is not teaching the one-week courses he leads water colour painting and drawing workshops in the south of France for both locals and people on holiday throughout the year at our studio in Pouzolles. The workshops are aimed at all levels, from beginners to advanced students alike. 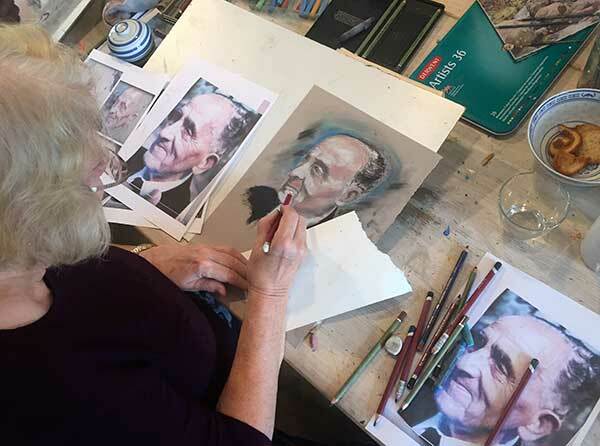 So, if you want to improve your skills or haven’t picked up a pencil or brush before, come and join our small group workshops (maximum group size of 6). Simon personalises the classes according to the skill levels of the individual students so no matter how much or little experience you have you can join a class at any stage. 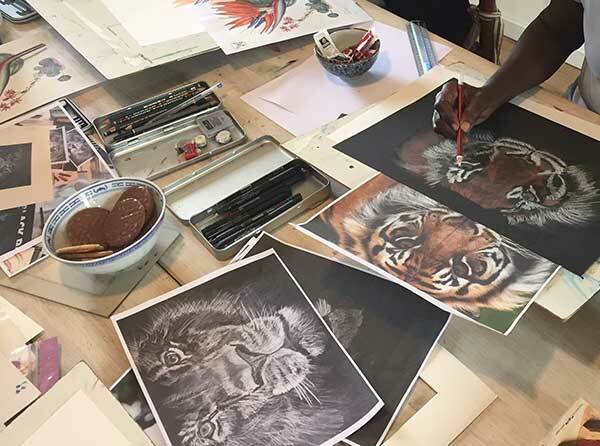 The drawing workshops allow you to experiment with various media such as pastel, pencils and charcoal and the best thing is you don’t need to bring along any equipment to the workshops as all painting and drawing equipment is supplied. 1/2 day workshops in the studio 35€ per person including all materials, discounted rates for local residents attending regularly. 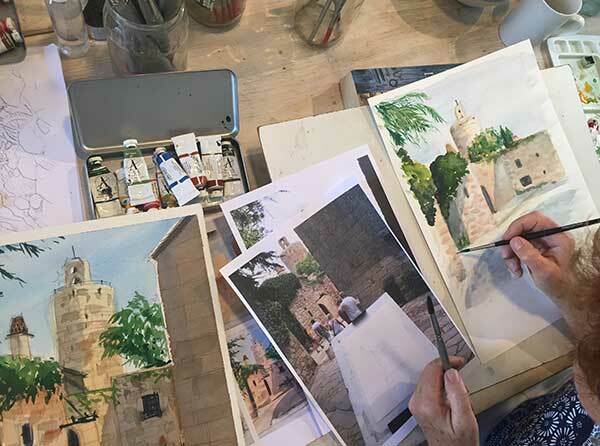 1/2 day workshops en plein air 40€ per per person including all materials, discounted rates for local residents attending regularly. Full day workshops 120€ per person including lunch, transport and all materials. 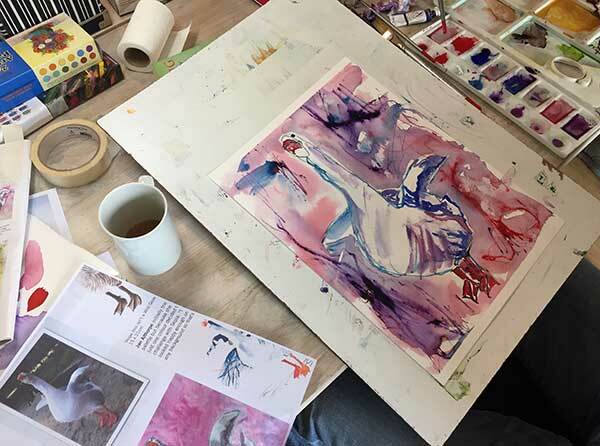 Every Wednesday during the July & August we will be holding painting and drawing workshops en plein air at the Mill outside Neffies in the south of France including a chic picnic. Friends and family are welcome to join us for the picnic after. Booking for the picnic is essential, click here for more info. We can also put together bespoke workshops at our studio or at a venue of your choice for a group of people. 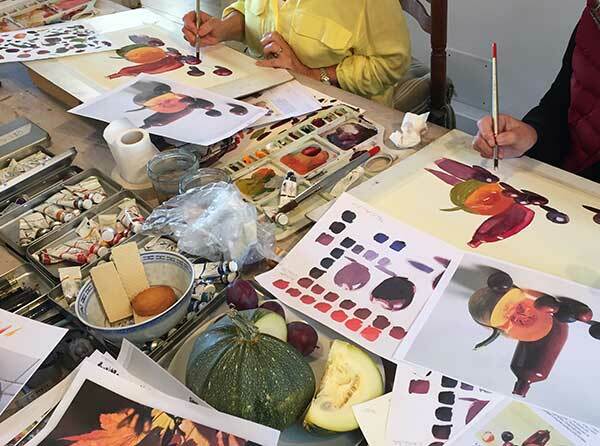 If you would like us to organise a bespoke painting or drawing workshop in the south of France, please give us a call. We will supply all the materials and if painting ‘en-plein’ air we will also supply chairs and and small tables. If you would like to include a meal on the day will can also cater a chic picnic lunch or organise a lunch at a local restaurant.